AVA Cosmetics - Hydro Laser - Mask 50 ml. AVA Cosmetics - Stop time - Night Cream 50ml. AVA Cosmetics - Youth Activator - Argan oil 30ml. AVA Cosmetics - Eco Linea - Revitalizing Night Cream 50ml. AVA Cosmetics - Eco Garden - Certified Organic Serum tomato & cucumber 30ml. AVA Cosmetics - Eco Garden - Certified Organic Serum carrot & peas 30ml. AVA Cosmetics - Youth Activator - Retinol 30ml. 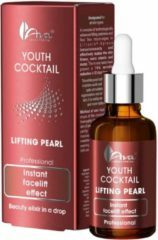 AVA Cosmetics – Youth Cocktail - Lifting Pearl 30ml. 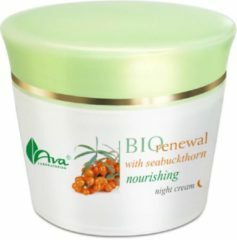 AVA Cosmetics - Aloe Organic - Anti-aging Night Cream 50ml. AVA Cosmetics - Hydro Laser - Serum 30 ml. AVA Cosmetics - Aloe Organic - Anti-aging Face Serum 30ml. AVA Cosmetics – Youth Cocktail - Hydro Boost 30ml. AVA Cosmetics - Youth Activator - Biomimetic Peptide 30ml. AVA Cosmetics – Youth Cocktail - S.O.S. Sebum Control 30ml. AVA Cosmetics - Youth Activator - Argan stem cells 30ml. AVA Cosmetics - Youth Activator - Hydranov 30ml. 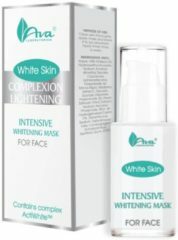 AVA Cosmetics - White skin - Intensive whitening serum mask for face 30ml . AVA Cosmetics - Stop time - Lifting Facial Mask 30ml.